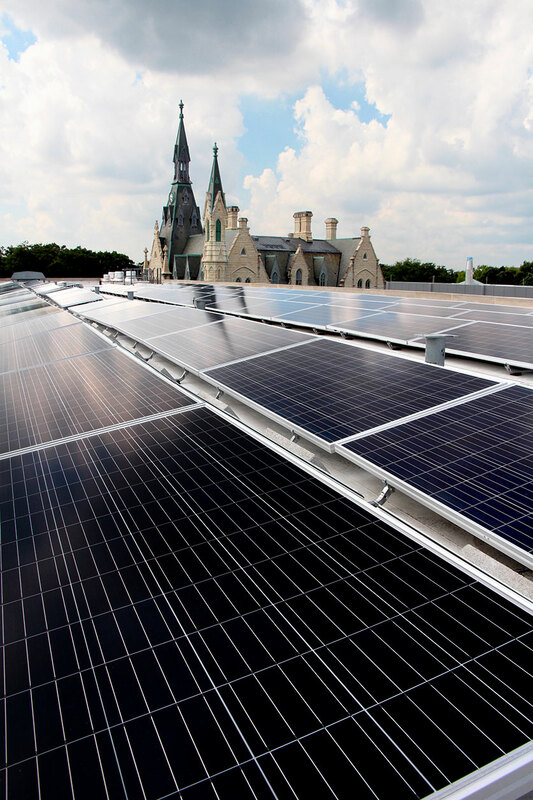 Rows of solar panels gleam atop Kresge Centennial Hall, signaling the building’s new status as an environmental beacon. In September, the recently renovated humanities hub became the first Northwestern building to receive LEED Platinum certification, the highest possible rating from the U.S. Green Building Council. Kresge’s 254 solar panels generate 81 kilowatts of electricity, enough to power 5 percent of the building’s electrical fixtures. Other distinguishing features include a white-roof design that lowers the building’s cooling costs and radiant ceiling panels that use chilled water to reduce the amount of energy needed for air conditioning.